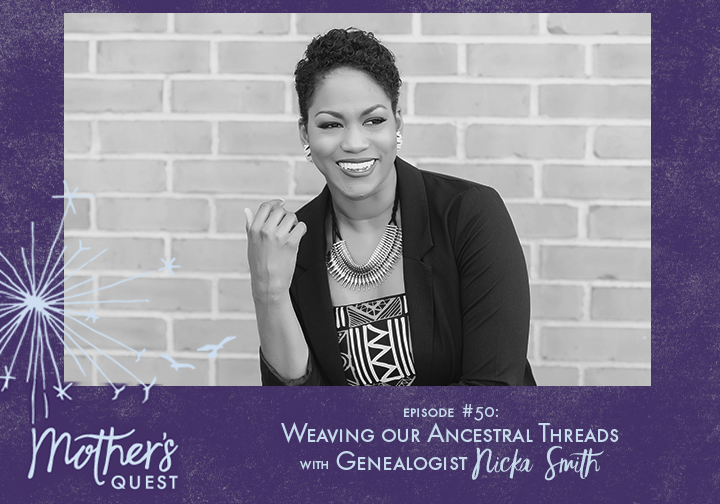 During this time of reflection and connection to family, it feels right to bring forward this episode on ancestry with Nicka Smith, a professional photographer, speaker, host, and documentarian with more than 19 years of experience as a genealogist. I learned about Nicka through my friend and previous podcast guest Jenjii Hysten, one of Nicka’s biggest cheerleaders, who regularly acknowledges Nicka’s expertise in African ancestored genealogy and her ability to connect young people to their ancestry. Nicka’s experience and accomplishments are vast: she has edited and designed volumes of family history that include narratives, photos, and genealogical information and is the host of BlackProGen LIVE, an innovative web show focused on people of color genealogy and family history. Using Nicka’s life experience, this episode goes deep in how to give ourselves permission to step into becoming our own family historians, the importance of connecting the threads of our ancestors to who we are today, the challenges and emotions involved in tracing genealogy for African American people whose ancestors were enslaved, and the idea that we can become today the ancestors we aspire to be for our descendants by taking the political and social action our times demand. With Nicka’s guidance, I’ve started the process of connecting the threads of my ancestors. To be honest, I was a little skeptical that I would find anything particularly interesting. But, while visiting my parents in Los Angeles, my mother and I stayed up late on the couch looking on ancestry.com at documents connected to her mother, my grandmother, Ruth. My mother shared details about Ruth’s life in a previous episode’s dedication, that I’ll link in the show notes. We knew that her mother had married (what we say in Yiddush) a “nogoodnick” who left my grandmother destitute with three young girls to raise on her own. That night on the couch, we found a strange named document connected to my grandmother’s records titled Hebrew Orphan Asylum of New York City. We clicked on the link and soon saw evidence that my grandmother and her youngest sister had been left in the care of an orphanage. But that some time after, my great grandmother, came back to get them. My grandmother, who was only 2 at the time, never spoke of this to us and may not have known. But now my mother and I know that our ancestor, against the odds, found a way to reunited with her children. Had she not, my grandmother’s fate would surely have been different, and my mother and I might not have been here today. I know now that my discoveries as my family historian are just beginning. I hope this episode and what I uncovered about my great grandmother give you permission to step into becoming your family historian, to explore the untold stories of your ancestors, and to weave the threads between yourself, your ancestors and your descendants, that will help you more fully live your E.P.I.C. life. How a simple hobby back in college turned out to be Nicka’s passion and purpose in life. The layers to Nicka’s “genealogical cake” including revelations she learned about her family ancestry: the Native American blood in her family, the fact that her great great grandfather was legally married to a white woman in the late 1800’s, and that her ancestors were enslaved on the same plantation for more than 30 years by a slave-owner from western Massachusetts. Nicka’s ancestor who took great risks to advocate for his birthright as a Cherokee Freedmen to the Committee on Indian Affairs and the impact that had on Nicka. How we can use tools like ancestry.com and a database of documents to help us explore our lineage.. The life-long trauma experienced still by Nicka’s grandmother’s grandmother, in her 90’s, from being forcibly separated from your parents during their enslavement and how that connects to the children separated at the border today. The threads that connect us to who we are across generations and the ways that Nicka’s ancestors activism have shaped her own. Black ProGenLive – Nicka’s YouTube show with twice monthly broadcasts feature a panel from BlackProGen and friends discussing a myriad of topics in the world of genealogy. Carrie Caulfield Arick, the founder of Ya Ya Podcasting, a company that helps podcasters put their best voice forward. She’s spent over ten years putting together her own family tree and assists her father, historian at Seabreeze Park in Rochester, NY piece together the stories of notable park guests and employees through genealogical research. 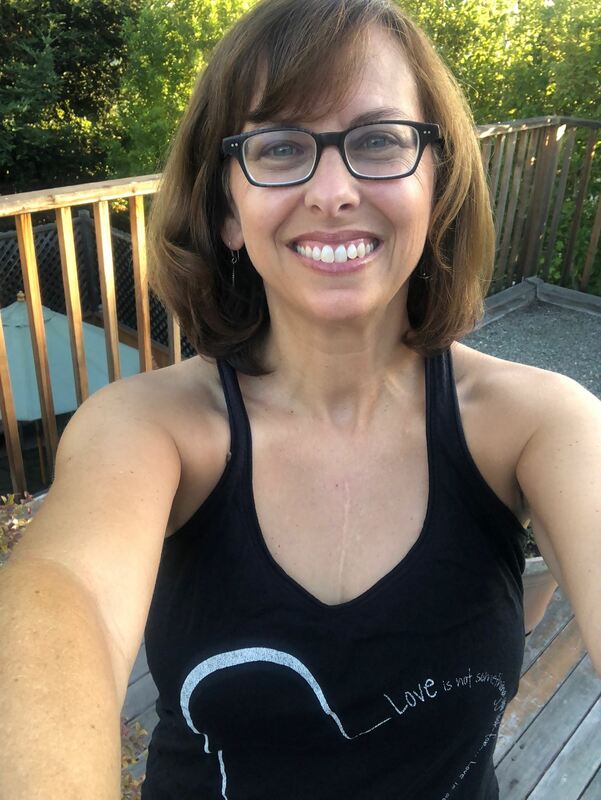 You can connect with Carrie on Facebook, Instagram or through her website. Nicka challenges everyone to give yourself permission to step into the role of family historian. Sign up for an account with ancestry.com and begin with yourself to trace your family tree backward. 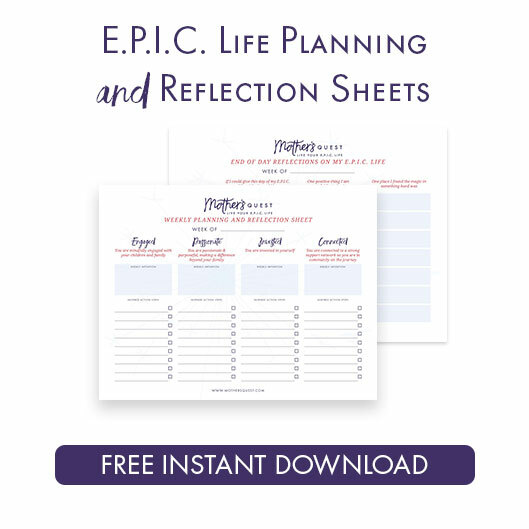 Investigate to trace your own lineage and see how history repeats itself. Take a deep dive, and ask yourself these questions: How did we get here? Who immigrated? Why? And apply that to your present. I’m so excited to embark on this program, Journey to Right Livelihood as a learner. 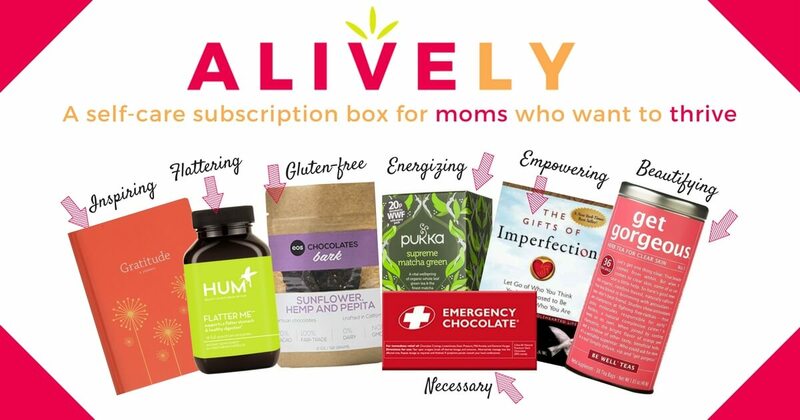 And as an affiliate, I’ll also be offering Mother’s Quest bonuses to deepen the experience for members of my community who decide to come along too. 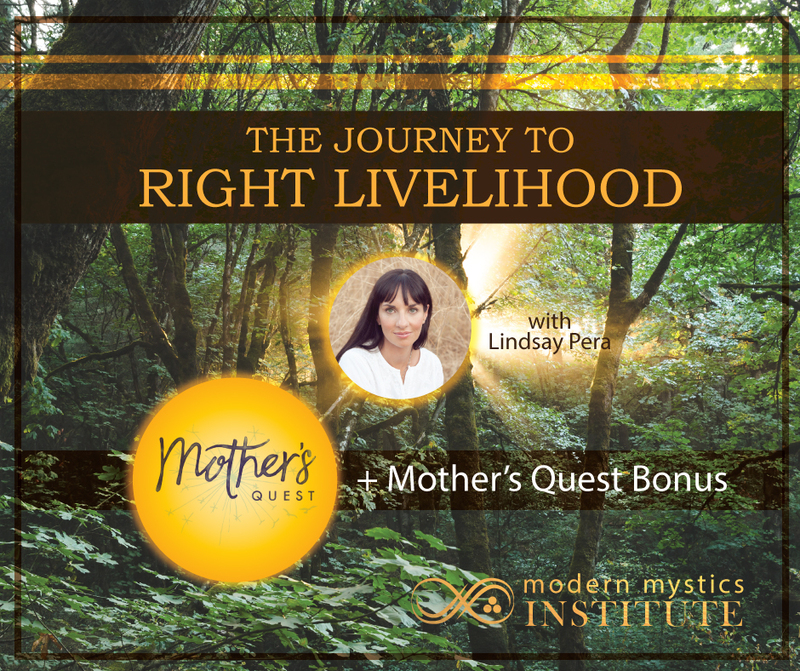 If you’re interested, you can learn more by searching Journey to Right Livelihood and come over to my private facebook group, where I had a conversation with the founder, and one of my teachers and mentors, Lindsay Pera. Ready to sign up? 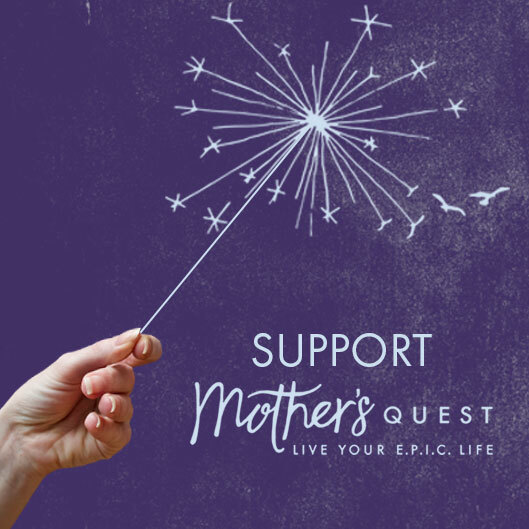 You can use this link and access Mother’s Quest bonuses we will co-create as well.